Finding a place to wait for friends to knock off from work so we could do dinner. Wine Mansion looks inviting, a tiny long unpretentious space. Great music too. Cheap wine. One-for-one house wine, so I ended up paying only $7 for two glasses. 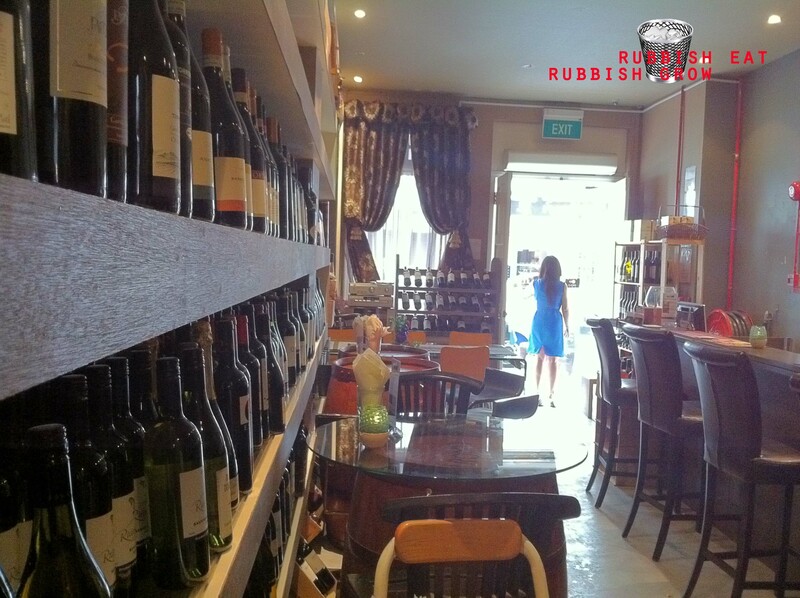 The owner is very friendly and said that there are two kinds of house wine and if I didn’t like one, I could change to the other. There is also a cute Eurasian bartender/cashier/owner? There are lunch and dinner meals too. Will come here often. A question that should have a pretty obvious answer: Said Eurasion is guy?